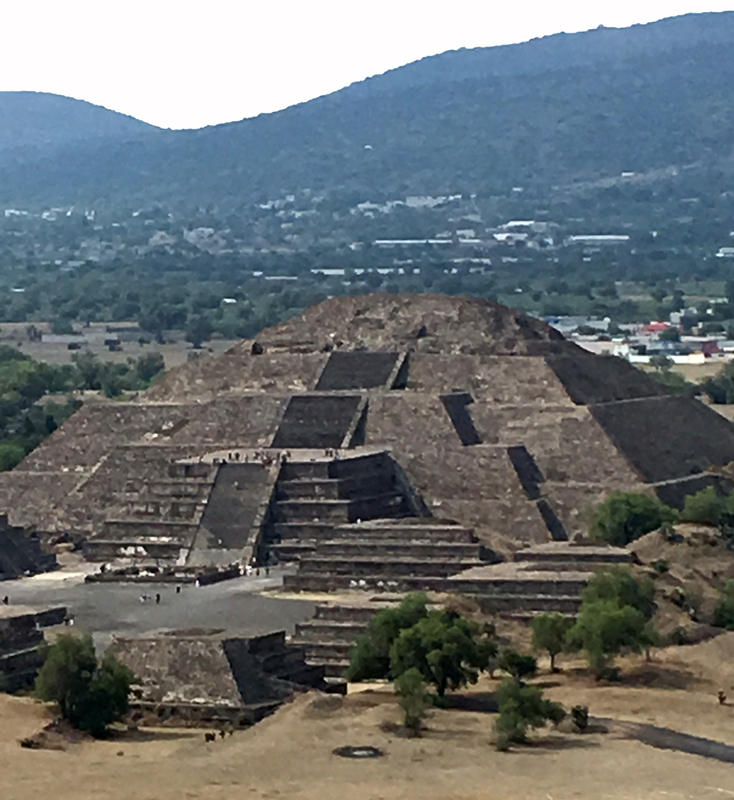 Already back for more than a month from an amazing 3 week trip to Mexico, an intensive tour with Dany-E and De Dupe playing 8 gigs in 5 cities. Of course I needed to go record hunting, although I wasn’t so well prepared, in terms of not knowing what I was looking for and not having many addresses of record stores, but both I was finding out on the way. First 5 days we stayed in Mexico City and the first shop I visited with Dany was a small one, specialised in latin, cumbia and disco, situated in a down town mercado. 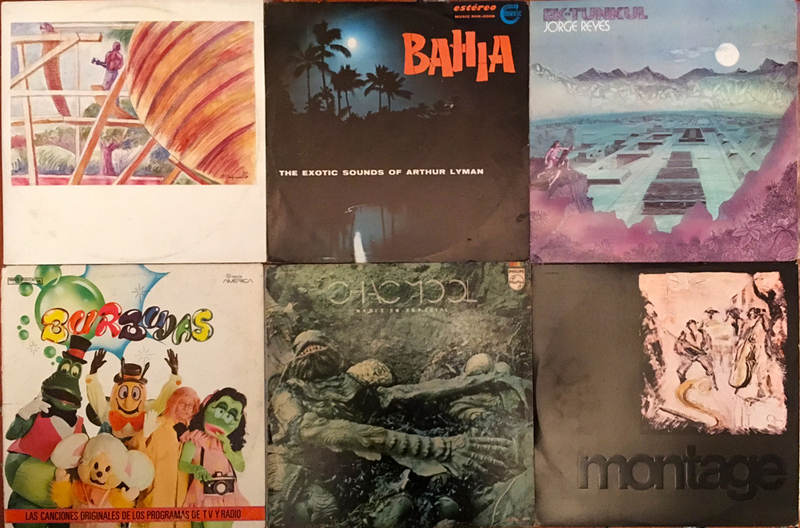 I found some nice Mexican pressings of Colombian bands and French disco like Don Ray, Who’s Who and Milkways. On Saturday we did an instore in Discos Mono, a nice alternative shop, specialised in contemporary music, stock divided in genres like psychedelics, chill down, experimental and dance. Bought a beautiful ambient electronic album on their own label by Humberto Polar and a 7″ by Nima Ikki, which is included as a wrong-speeder in this mix. Next door at the shop Retroactive I bought big pile of latin, nice shop to dig, most records cost 50 pesos, which is 2,50 euros. Amongst them was this amazing Venezuelan self titled Daiquiri album and here I also found the Astillero Jazz Ensemble, a super group that tried to to merge jazz with etnic (Mexican) roots and Arthur Lyman, Hawaiian pioneer in Exotica (the 2 first tracks of the mix). 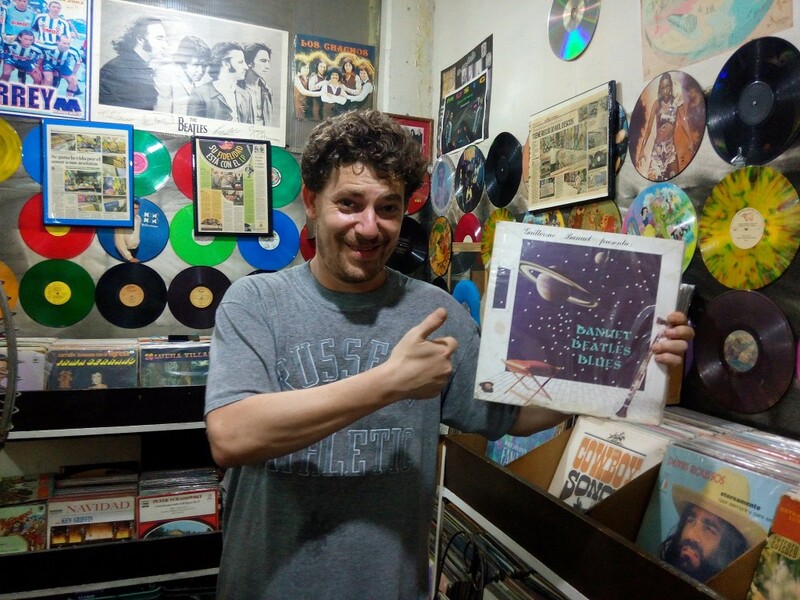 After a legendary Italo and HiNRG night in Patrick Miller, on Sunday afternoon I joined Humberto, the owner of Discos Mono, to the flea market near La Lagunilla Market, which was big fun. 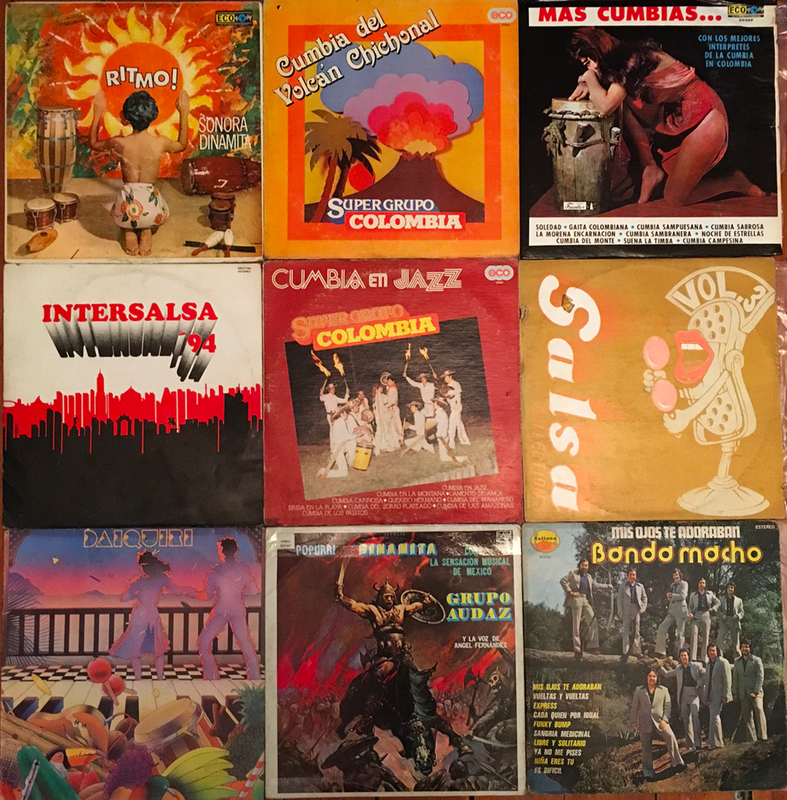 I got to know Odisea Burbujas, Humberto put me the jazz album Montage in my hands, and I took a compilation with Colombian Salsa featuring Son De Azucar. The street market is in a rough area, we had some good street food and drank 1 litre cardboard cups, dipped in sticky salsa, full of beer mixed with tomato juice (Clamato) while we were enjoying the sounds of the many sound systems that were playing cumbia and latin reggaeton. Most sound systems sell home made compilation cd’s with black and white copied covers of the music they play. That night we played a super fun gig on a roof top Sunday Sunday. 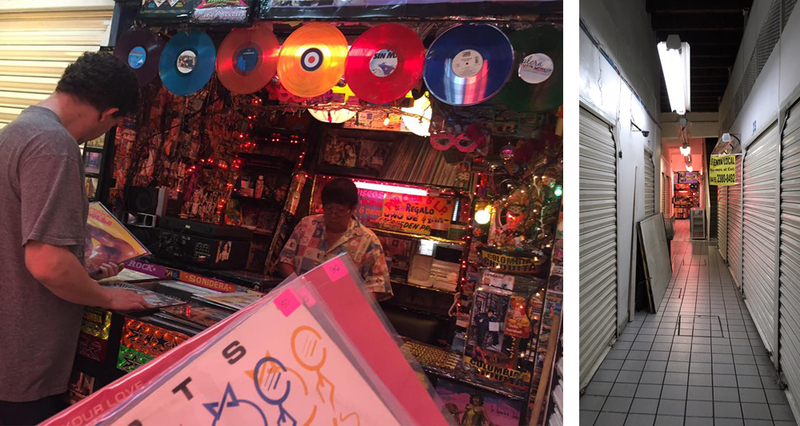 In the one and a half week that we were travelling from Cuernavaca to Guadalajara, Irapuato, Queretaro, Zacatecas to final destination Monterrey I didn’t find any record stores, or we had little time. We played in small airconditioned clubs, sometimes with reserved tables on the (dance) floor, one decorated as a little pop museum, we met people from Salamanca wearing Intergalactic FM shirts and in Zacatecas we played outside for a full terrace on the very same Technics 1200’s on which Dany-E learned dj-ing. 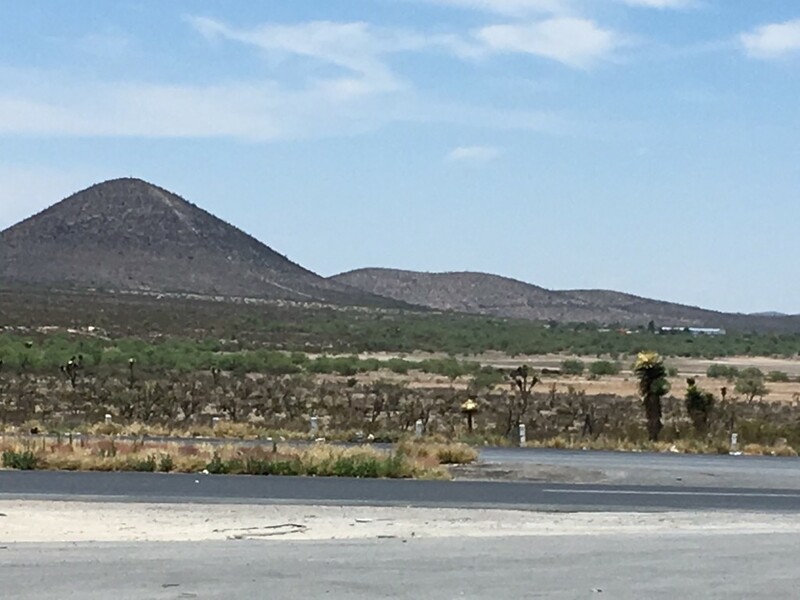 We travelled by bus through the deserted landscape of Mexico, endless fields of nothingness, just sand, mountains on the horizon, sometimes for a couple of kilometers wild fields of cacti growing, while I was listening to the audiobook How Music Works by David Byrne. In Monterrey I went to the mercado that Otto discovered online, it was a long walk from the apartment in the North American feeling city, totally designed for cars before I ended up in this big concrete warehouse that housed dozens of small shops and restaurants. There were a couple of sound systems playing in the more open structures on street level and some vinyl places upstairs, I went to Discos Viniles LP’s and dug up the first Chac Mool lp, a band formed by the – also in Europe – famous Jorge Reyes, the cumbia banger Sonora-Dinamita ‎– Ritmo! and the obscure record in my hand on the picture below (last track of the mix). Next day I ran into another Chac Mool album on a flea market and I discovered the sweet small shop UPPER PALÉ that sold me the first solo lp by Jorge Reyes, influenced by pre-Columbian music from the Aztecs and Mayas, and Banda Macho an incredibly funky Mexican cover band from Monterrey. In Topaz Deluxe we did an all-nighter and the party went crazy, night before Optimo played there another great set.